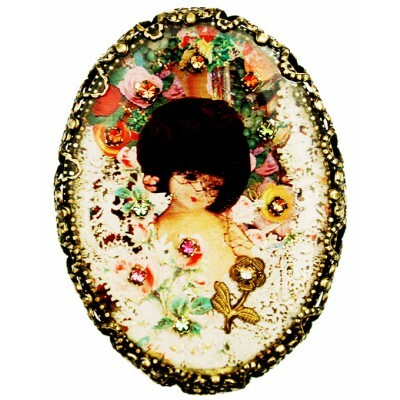 Michal Negrin oval brooch. 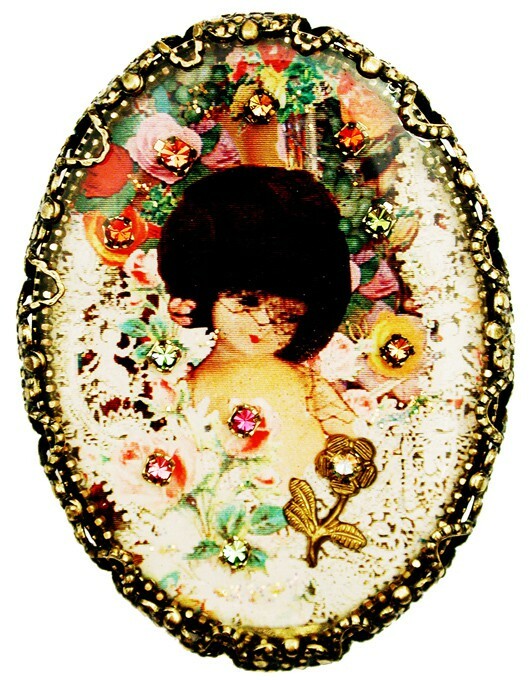 With a Vintage Doll cameo and sparkling Swarovski crystals. Measures 1 3/4 inch X 1 1/4 inch.